A native Montrealer, Dr. Gabrielle Cassir completed her medical school and residency training at Université de Montreal. 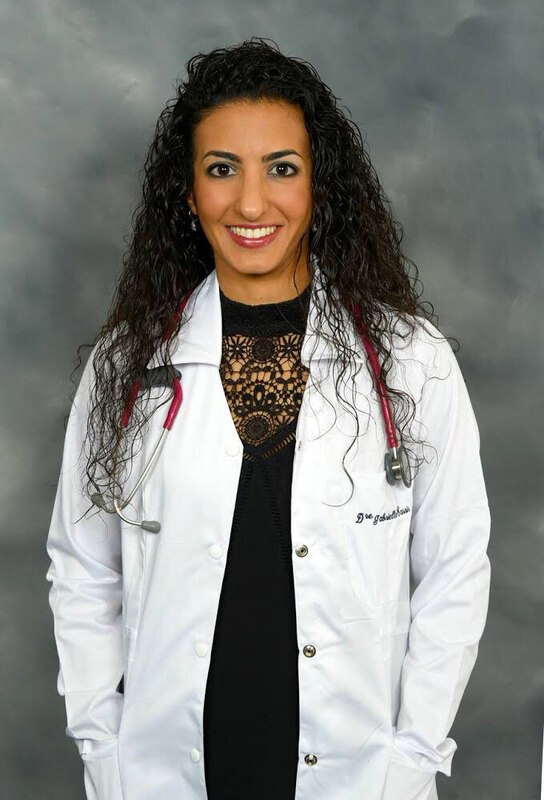 During her time as a medical student, she was also able to experience the American health care system, spending two months at Jackson Memorial Hospital in Miami. She completed two-years of subspecialty training in Maternal-Fetal Medicine at Mount Sinai Hospital in Toronto, before returning to Montreal where she recently became a staff physician in the Obstetrics and Gynecology division at St. Mary’s Hospital Center and an Assistant Professor in the Department of Obstetrics and Gynecology at McGill’s Faculty of Medicine. Currently accepting new patients, Dr. Cassir took some time to sit down with us to talk about her own background as well as an area that she is very passionate about, women’s health. To be completely honest, when I was younger I never imagined myself becoming a doctor. I entered CEGEP wanting to pursue a career in journalism and communications, and spent my summers working at CTV. During that time, I took a single biology class with a professor I still distinctively remember, Mrs. Fima, and soon became enthralled with the world of medicine. I entered pre-med at the age of 19, right out of CEGEP. Delivering my first baby as a medical student during an obstetrics rotation was both the scariest and most exhilarating moment of my career thus far. Life is often unexpected, and you don’t always choose the field, the field sometimes chooses you. I began as a staff OB-GYN at St-Mary’s in January 2019 and have been loving every minute of it. I truly feel like specializing in the field of Obstetrics and Gynaecology has not only been an honour, but a privilege. Put simply, there is no place like home. I was born and raised in Montreal and always dreamed of setting up practice in my hometown. I had the opportunity to train alongside pioneers in our field at a world-renowned institution in Toronto. I also had the pleasure of being one of the lead authors on our national Society of Obstetricians and Gynaecologists of Canada’s Obesity in Pregnancy guidelines. I am thrilled to be able to bring back that experience to my McGill team. My sub-specialty focused on high-risk pregnancies, with a particular interest in maternal diseases, more specifically obesity, diabetes, hypertension and hyperparathyroidism. I just recently had the pleasure of presenting at our worldwide Society for Maternal-Fetal Medicine conference and I am excited to continue my research in endocrine disorders in pregnancy. Though my fellowship was in high-risk pregnancies, my doors are always open to all expecting moms-to-be. In a world where pop culture idealism and social media enthralment have become an integral part of society, I’ve realized that there’s a relevant opportunity for shedding light and understanding on the issues, complications and questions women face daily about their bodies. Young girls come into my office asking to deliver the “Kardashian way” or inquiring about BRCA genetic testing because of Angelina Jolie. The world of social media has opened the door to a whole new platform for women’s education and awareness.